Paper Masters will write a research paper of your choice related to language and culture. Our writers use only scholarly sources – Goggle Scholars, ProQuest, EbscoHost, Education Institutions, and Government Body databases. We find articles about the differences in the way language is used in different cultures or the ways in which the language reflects the culture and its worldview. Our writers can summarize the information in the article you have chosen and evaluate the use of language in that culture, using communication concepts (including vocabulary and terminology). 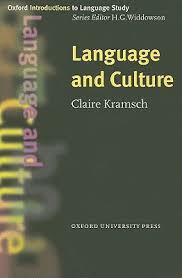 The study of language and culture is called linguistic anthropology. Drawing on the theoretical foundations of multiple disciplines, linguistic anthropology has become an interdisciplinary field of study in its own right. Linguistic anthropology enables researchers and enthusiasts to conceptualize language in terms of the culture it represents and in turn supports. Using methods like ethnography, linguistic anthropologists are able to explore the multifarious aspects of human existence and the central role that language plays in our understanding of and experiences in the world around us. The research paper will be clear, engaging, original, and focused; ideas and content are richly developed with details and examples. Organization and form enhance the central idea and theme; ideas are presented coherently to move the reader through the text. The voice of the writer is compelling and conveys the writer’s meaning through effective sentence structure and precise word choices. The writer successfully moves the paper through academic constructs and experiential documentation to critical analysis. The paper demonstrates a clear balance of these three components. The paper is developed through coherently linked paragraphs, each devoted to an aspect of the topic. The vocabulary and diction represent college-level usage. The grammar, spelling, and APA style in this paper must be correct. This means students must use complete sentences and make minimal grammar mistakes. Will include an introductory paragraph with a succinct thesis statement. Your paper will address the topic of the paper with critical thought in structured paragraphs. Our writers will conclude with a restatement of the thesis and a conclusion paragraph. All our papers are double-spaced pages and formatted according to APA style as outlined in the approved style guide. On the final page, a Reference List that is completed according to APA style. Language and culture are inextricably linked. Language is more than simple semantics. Yes, language is embedded with meaning and provides the channel for both interpsychological and intrapsychological communications. However, a full appreciation and comprehensive understanding of language can only be achieved by viewing language through a cultural lens. To do otherwise is to utterly disregard the role of language as a powerful tool used to both create and perpetuate the cultures of societies. Linguistic anthropology is a valuable tool that can be used to examine the inseparable concepts of language and culture. Is the study of language more important than the study of culture or vice versa? Based on the argument stated above regarding the inexplicable link between language and culture, it is arguable that the study of both concepts is equally important and any exploration of language and culture is most valuable when the concepts are studied in tandem, as is the case with linguistic anthropology. In Linguistic Anthropology, Alessandro Duranti describes linguistic anthropology as “the study of language as a cultural resource and speaking as a cultural practice”. From a linguistic anthropologist perspective, human beings or users of language are viewed as social actors, using language to create, maintain, and perpetuate culture and social structures. Duranti uses the phrase “speech community” to describe communities in which prolonged patterns of culture, language, and interactions have developed. Duranti explains, “the concept [of speech community] takes as fact that language represents, embodies, constructs, and constitutes meaningful participation in a society and culture” . Indeed, the symbiotic relationship between language and culture is underscored through an examination of societal participation. As aforementioned, speakers are social actors. Speaking a language, using the words and expressions of a society, represents participation in and belonging to a speech community. Linguistic anthropology focuses on three interconnected theoretical constructions, which serve to further elucidate the intimate relationship between language and culture: performance, indexicality, and participation. Words and language function not only as symbolic representations but also stimulate action. Duranti discusses this “ability of words to do things – their performative power, which is, in turn, partly possible thanks to their ability to point to something beyond themselves – through their indexical properties”. It is arguable that without a cultural framework, these performative powers, indexical properties, and participative dimensions would cease to exist, since culture is the cornerstone upon which language is built and maintained, and language in turn, enables culture to survive. Ethnography is a commonly used methodology that enables researchers to study language, social life, and culture. In ethnographic studies, researchers typically spend extended periods of time immersed in a society of peoples. Doing so provides valuable insight into the day-to-day activities of a society as well as the wider social and cultural structures in which interactions occur. Ethnographers therefore offer inside views of a society. Ethnography has its advantages and disadvantages. On the one hand, ethnographic studies can provide invaluable insight into the culture, language, and other aspects of a society. However, issues relative to objectivity versus empathy for people being studied naturally arise. The primary role of the ethnographer is observer; observing over extended periods of time theoretically enables the researcher to discern language, cultural, and social patterns. However, methodological problems can arise when a foreigner suddenly implants him- or herself into a society. For instance, Duranti discusses the experience of Elinor Ochs in her study of culture, language and socialization of Western Samoans. Instead of observing children and caregivers performing their typical day-to-day activities (including language acquisition and use as well as socialization), Ochs found her subjects of study speaking and acting on their best behavior, thus initially preventing her from developing an authentic understanding of their actual language acquisition and socialization patterns. Syntax vs Semantics research papers discuss the two main branches of contemporary linguistics. Semantics is the study of the meaning of words. What is Culture - Culture is the behavioral patterns of a specific group determined by beliefs, thoughts and institutions of a society. The Individual and Society Research Papers go into an examination of individuals and society's paradoxical interrelationship. Native Language - Native Language Custom Research Writings look into how native language is the general basis for an individuals cultural or sociolinguistics identity. Bilingualism - Bilingualism Research Papers examine an example of an order placed on interviews conducted on three different types of bilingual families. Cultural Identity - Cultural Identity research papers discuss an individual's sense of belonging to any social group that is defined as having its own culture. Ferdinand de Saussure's Nature of the Linguistic Sign - Ferdinand de Saussure's Nature of the Linguistic Sign research papers discuss the language and signs in the human race. African American Dialects - African American Dialects research papers discuss African American Vernacular English and examine the shared characteristics of both Southern American English and African creole. Types of Figurative Language - Types of Figurative Language research papers discuss the types of expressions used to move past literal meaning. Culture in Portugal - Culture in Portugal Research Papers delve into the different museums and architecture that it has. Native Americans Research Papers look at a broad scope of their history. The Ndebele Tribe - The Ndebele Tribe inhabit a region in the northern part of South Africa and the southern part of Zimbabwe. Afro-Creole Culture and Influence - Afro-Creole Culture and Influence Research Papers look at the history of the emancipation of African Americans. Culture of India - The Cultures of India are rich in traditions and are defined by their religious beliefs, Indian marriages, clothing, and cuisine. Bilingual Education - Bilingual Education research papers cover issues such as equality and what is best for bilingual students. Spoken English focuses on some general linguistic concepts and their interrelationships. Communication Perspective - Communication Perspective research papers try to convey to readers what it is like to view the world from a communication lens. Forensic Linguists - Forensic linguists are concerned with the vocal and written language that is involved in the investigation of crime as well as judicial procedure in relation to trial. Paper Masters writes custom research papers on Language and Culture and examine geography in light of cultural aspects of language.